Four local legends feature in the 2019 Australia Day national honours list released today, Saturday 26 January. Former Warwick Shire deputy mayor Doug Cutmore, Warwick community stalwart Elaine Stewart and Goomburra conservationist Mary-Lou Gittins will all receive an Order of Australia Medal (OAM), while SES champion John Newley has been honoured with an Emergency Services Medal (ESM). Doug’s and Elaine’s official citations note that their OAM’s are in recognition of their “service to the community of Warwick”, while Mary-Lou’s is for “services to conservation and the environment”. Vice-President, 1995-1996 and since 2017. Member, Executive Committee, since 1994. Councillor, Warwick City Council, 1988-1997. Life Vice-Patron, Hand Heart Pocket, current. 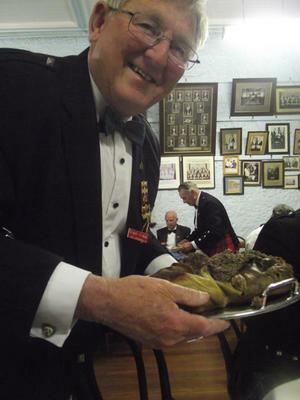 Life Member, Warwick Thistle Pipe Band, current. Current Director, Warwick Friendly Society. Treasurer, St Marks Mothers Union, current. Treasurer, St Marks Guild, current. Supporter, Friends of St Marks. Supporter of Riding with the Disabled. Supporter, Warwick Leukaemia Foundation and Cancer Fund. Member, Schools Chaplaincy Committee, Warwick. Director, Landcare Australia Limited, 2001-2005. Queensland Representative, Australia Landcare Council, 2005. Queensland Representative, Murray Darling Basin Community Committee, 2009-2012. School interaction with Landcare and Waterwatch Programs, 1994-2000. Director, since 2016 and 2002-2003. Chair , Members Engagement and Communication, since 2016. Chair, Southern Queensland Landcare Forum, 2017. Member, organising committee, Queensland State Landcare Conference, Warwick, 2013. Chair, founding Steering Committee, 2001. Landcare representative, Steering group to form Regional Body, 2000-2001. Deputy Chair, National Action Plan for Salinity, Water Quality and Quantity, 2001-2003. Representative, Steering Group to form South East Queensland Natural Resource Management regional body, 2000-2003. Member, Steering group, merger with Natural Resource Management South East Queensland Group, 2002-2003. Member representative, Regional Groups Collective Queensland, 2001-2003. Community and Queensland Dairy Organisation representative, Brisbane Valley Vegetation Group, 2001-2003. Farmer Facilitator, Sub-Tropical Dairy Program South East Queensland, 1999-2001. Co-organised the Sub-Tropical Dairy conference, ‘Dairying and Natural Resource Management’, Adora Downs, Mt Tyson, 2000. Representative, Sub-Tropical Dairy Program on Steering committee for the Land and Water audit in Dairy Industry ‘Dairying for tomorrow’, Dairy Research and Development Corporation, 1998 – 2000. Chair, organising committee, Southern Queensland Landcare Forum, 2017. Secretary, Allora Rural Watch, 2012-2017. Community Member, Queensland Murray-Darling Committee, 2009-2014. Chair, Darling Downs Regional Landcare Group, 2005-2010. 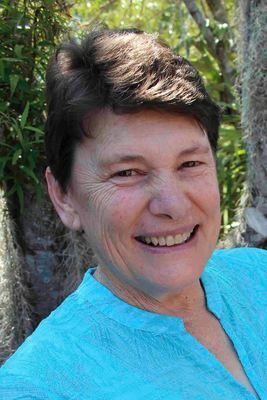 Chair and Founding Member, Brisbane Upper River Network Group, 2000-2003. Chair, Queensland Waterwatch Committee, 2001-2003. Environment Representative, Regional Communities Forum South East Queensland, 2000-2003. Member, Industry and Community Advisory Group, Moreton Bay Waterways and Catchment Partnership, South East Queensland Water Quality Management Strategy, 2000-2003. Deputy Chair, Brisbane River Management Reference Group, 1997-2000. Community Member, South East Queensland Water Quality Strategy, 1996-2000. Caloundra, presented paper on Landcare Group Health, 2010. Barcaldine, presented paper on History of Landcare in Queensland, 2005. Longreach, presented paper on Waterwatch in Qld, 2000. State Individual Landcare Award, 2003. South East Queensland Community Award, 2002. “Mr Newley has been an active member of the Warwick State Emergency Service (SES) for over 40 years. His dedication, leadership and operational professionalism has significantly contributed to the strength and capability of the unit and surrounding areas. As the Local Controller he has encouraged the participation of all members and ensured that the unit is well trained and equipped to respond to incidents across the Southern Downs region. He is also relied upon to extend his diligence to many other SES units across South West Queensland. Being a member of the Local Disaster Management Group he has worked with other agencies to ensure the preparedness, resilience and recovery of the community.